Mario Jose Molina is the leader of Mexico, was one of the winners of Nobel Prize in Chemistry in 1995 along with three other colleagues as making an important discovery about the dangers of chemicals Cloroflorokarbon (CFCs) that harm the ozone layer. 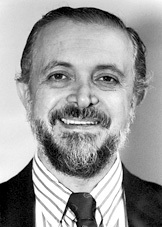 Mario Molina is the first Mexicans who won the Nobel Prize. Mario Molina is also a professor at the Massachusetts Institute of Technology, Boston, USA and active in the effort to save the environment.